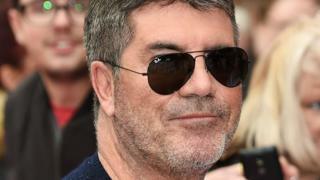 DNA of a man accused of stealing £1m worth of jewellery from Simon Cowell's house was found on a glove at the music mogul's home, a court has heard. Serial burglar Darren February, 34 and of no fixed address, denies breaking into Mr Cowell's west London home while he was asleep in December 2015. Isleworth Crown Court heard traces of Mr February's DNA had been discovered on a glove found dropped nearby. It was also found on a mark on the side of the entrance steps, the court heard. A forensic expert said the discovery meant it was possible that the defendant, who has been convicted of 37 burglaries, wore the gloves to steal a diamond ring, earrings and watches, before discarding them near the Holland Park home. Traces of other people's DNA were also found on the items tested, expert Sara Short said. In their report Ms Short and Rachel Pollard found that while "one possible explanation is that he had worn the gloves and discarded them" on 4 December, 2015, they could not conclusively state that he had "handled, worn or had direct contact with the gloves or had contact with the area (on the wall)." In cross examination, Ms Short agreed it was possible the defendant's DNA could have been transferred on to the gloves without him having worn them. But she agreed with prosecutor Denis Barry who suggested it would be unlucky for the defendant to have his DNA transferred to and found at the scene, if he had never been there or committed the crime. The court heard from a police officer who said he initially thought a man who broke in to the home of singer Rita Ora was pictured on CCTV from Mr Cowell's address. Two other officers said they had been able to identify Mr February from images captured at the scene.